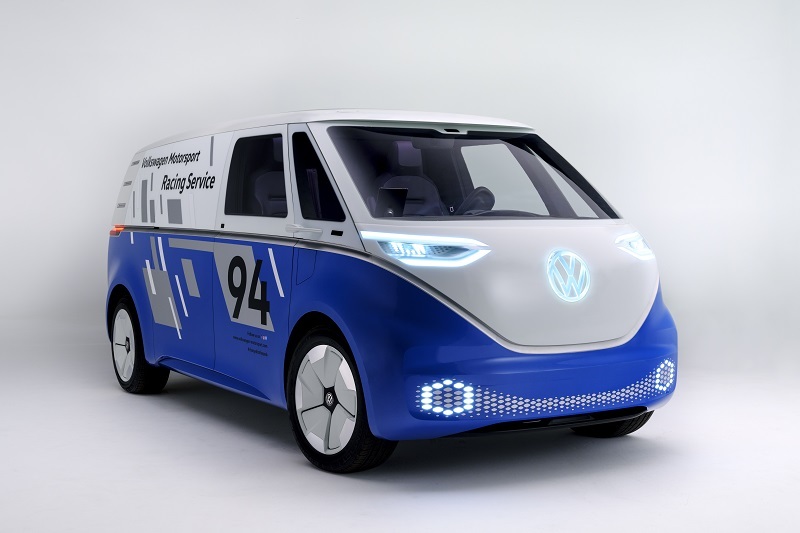 Volkswagen introduced their conceptual answer to the challenges of micro mobility in rapidly expanding dense urban environments this week at the Los Angeles Auto Show. 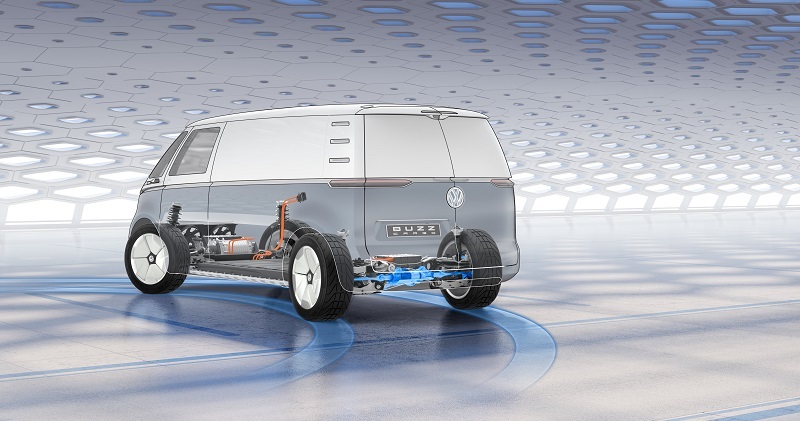 With a clear vision of the complex challenges of dense urban areas – many with commercial vehicle restrictions, the Volkswagen Commercial Vehicle group has created a cost-effective and environmentally friendly two-stage solution concept. Revealed this week were the new I.D. Buzz Cargo van concept and electric Cargo e-Bike that they think can address the service and/or delivery challenges of the future in dense urban environs. The first or primary stage of service or delivery is anchored by a new I.D. Buzz Cargo concept zero-emissions panel van that has the capability of operating as both a driver-operated or fully autonomous vehicle that both lowers CO2 footprint and reduces operating costs in the first stage of urban service/delivery. The autonomous I.D. 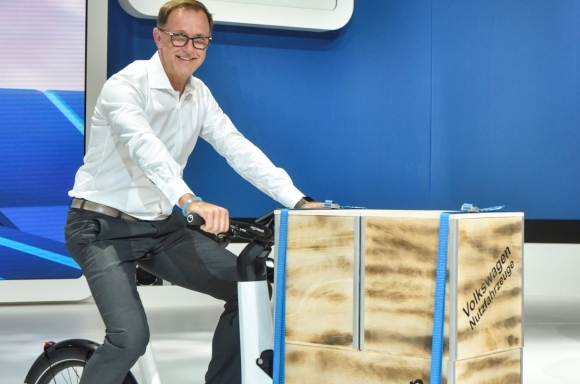 Buzz Cargo is directed to specific transfer points within an urban area where the second stage is handled by Volkswagen Commercial Vehicle’s new electric Cargo e-Bike. The e-Bike operator transfers the packages or tools to a cargo box on the bike and then proceeds to make the final delivery or service call for each customer. Don’t expect to see them in urban North America – with Amazon, UPS, DHL or FedEx logos – in the near future though. Volkswagen says to expect market introduction of the Cargo e-Bike in 2019, but does not plan to deliver the I.D. Buzz Cargo to market before 2022. The I.D. 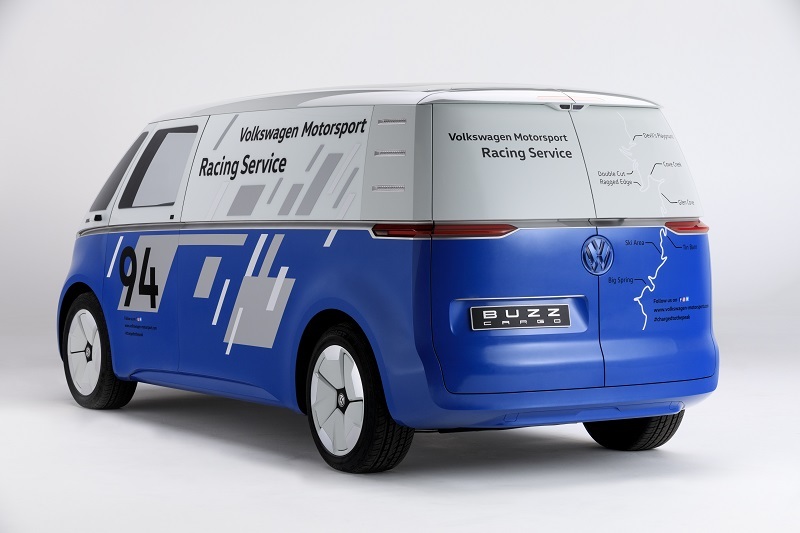 Buzz Cargo reflects original Volkswagen Transporter van styling cues with updated features as seen in the pictures. Sporting the expected short front overhang, Cargo is 198.7-inches long with a wheelbase of just 129.9-inches. 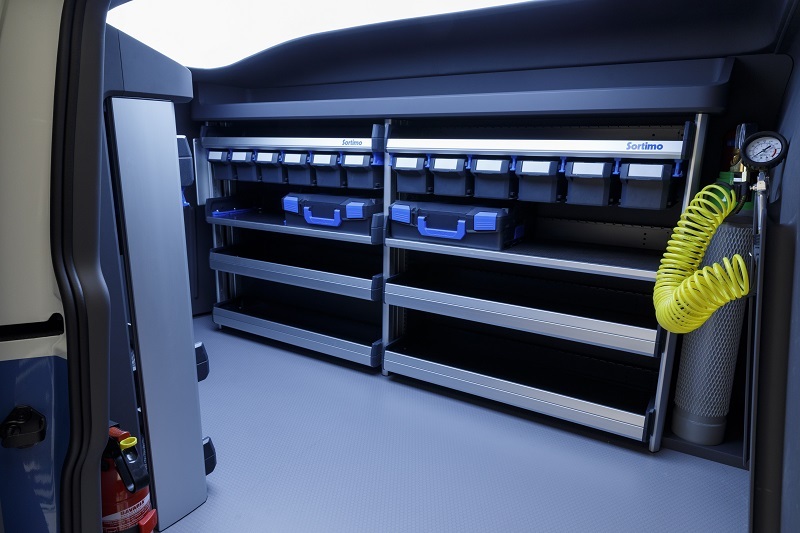 To optimize cargo shelving capacity, there is no sliding door on the driver (street side). The passenger side and symmetrical wide rear doors are electric powered for easy cargo access. Cargo has a payload of 1,760 pounds and runs on 20-inch wheels. A unique feature shown is a solar roof photovoltaic system that generates enough energy to extend range by almost 10 miles. The capacity of the I.D. Buzz Cargo is optimized by the MEB architecture that places the battery in the floor of the vehicle which also lowers center of gravity and improves handling. With no engine up front, the compact electric motor is mounted on the rear axle creating an extra 7-cubic feet of cargo space at the front. 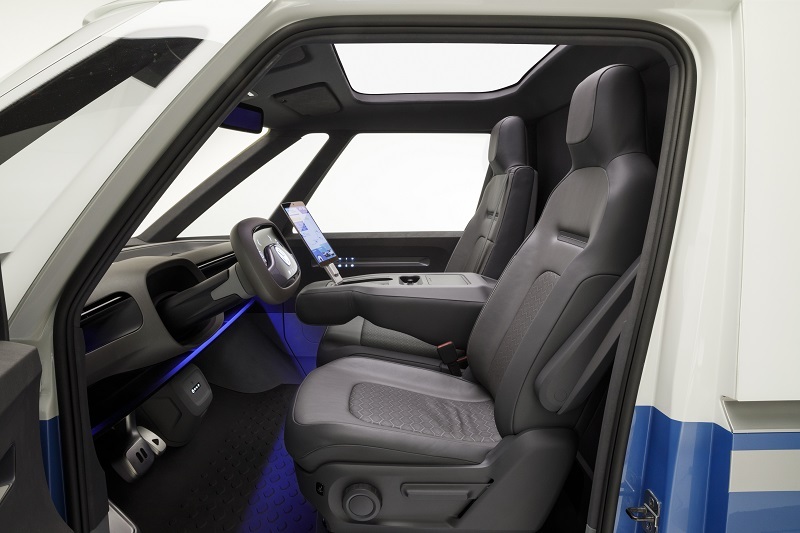 The Cargo concept shown was fitted out for commercial service work with a single driver seat and double-bench seat on the passenger side with a middle that can be folded down to reveal an integrated on-board computer. In autonomous mode, the driver seat turns 15-degrees to the right allowing the operator to work as necessary while in route. Features noted included an Augmented Reality (AR) head-up display, rearview or side mirrors replaced by a camera perimeter management system and more. 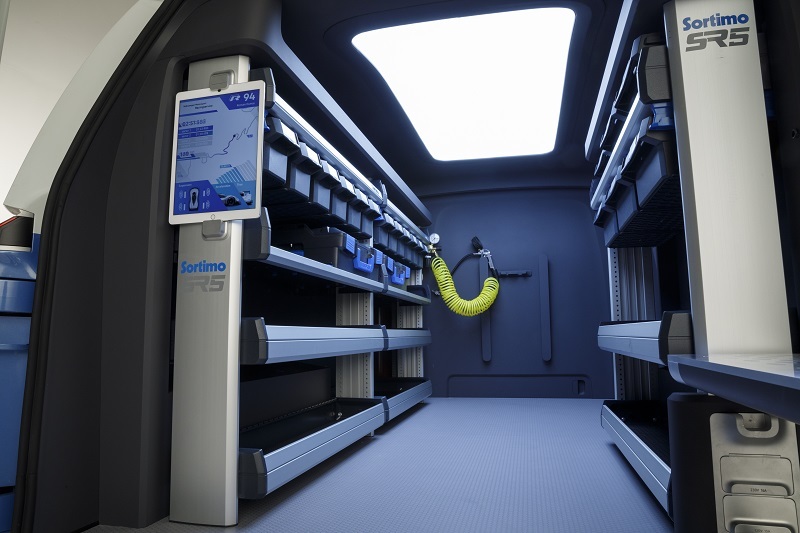 The shelving system for cargo, tools or supplies is digital-sensor managed to control inventory or manage delivery routing. The system communicates outside of the vehicle providing and receiving information to an operating base or – in the case of the last-mile delivery – to the Cargo e-Bike operator. 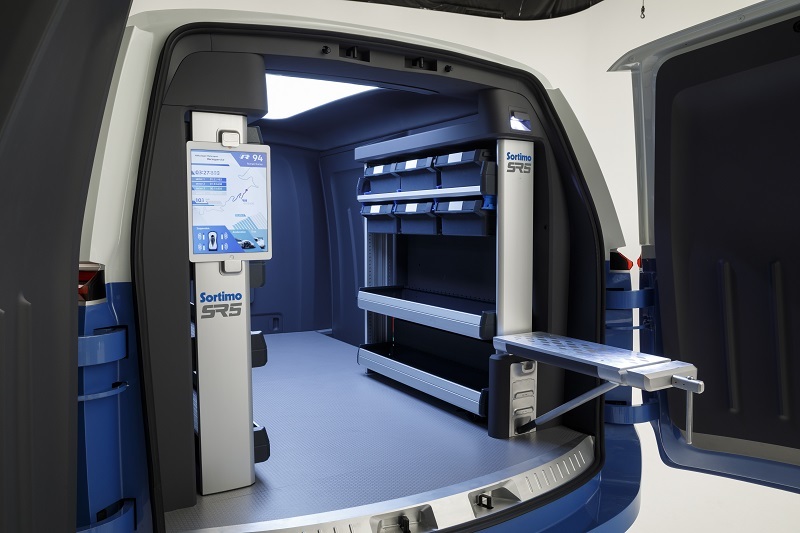 A bright 8.6-sqaure foot light is integrated into the roof to provide lighting for working inside the van. Shown on the I.D. Buzz Cargo van at Los Angeles, were a set of loading ramps, a fold-out workbench and 230V electrical sockets for powering tools as might be required. The I.D. Buzz Cargo concept powertrain is based on the Modular Electric Drive Kit (MEB) that was shown on the non-cargo I.D. Buzz revealed at the Detroit Auto Show last year. The Buzz Cargo concept is powered by a 201 horsepower (150kW) electric motor, a single-speed transmission and rear-wheel drive. It can be made all-wheel drive by adding another electric motor to the front. 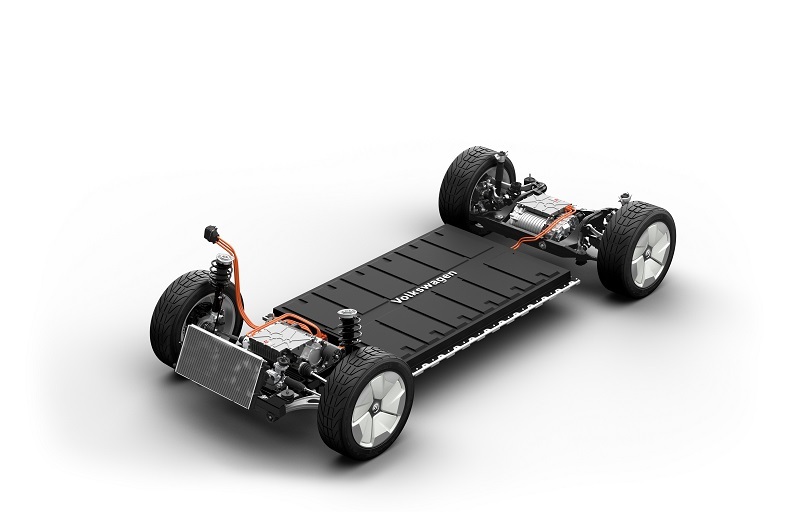 The 111kWh battery can be charged to 80 percent of capacity with a 150 kWDC fast-charger. 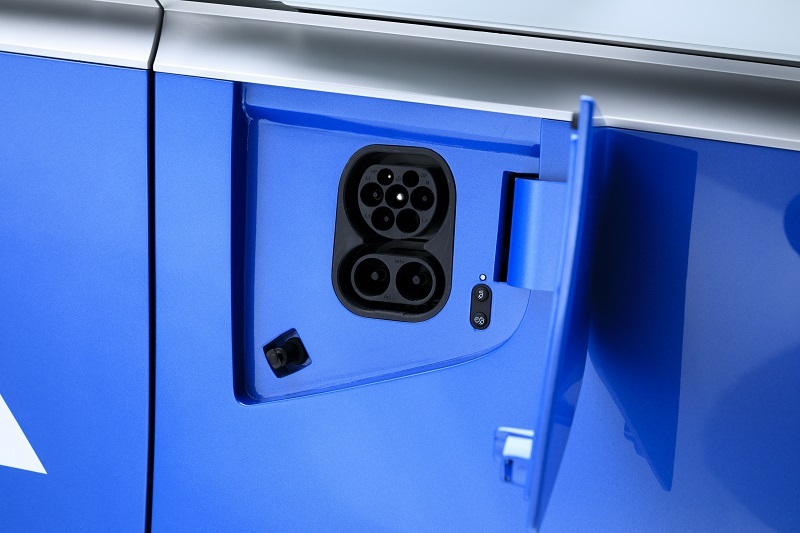 It can also utilize intuitive charging – when so equipped – enabling charging ‘on-the-go’ through charging plates located in staging areas and or/parking garages. With an electronically controlled top speed of 99 mph, the I.D. Buzz Cargo – depending on the battery equipped – can deliver a 340-mile range. The challenge of commercial enterprise last-mile delivery in dense urban areas did not escape notice by the Volkswagen as they looked at the complex challenges of the future. Complementing the I.D. 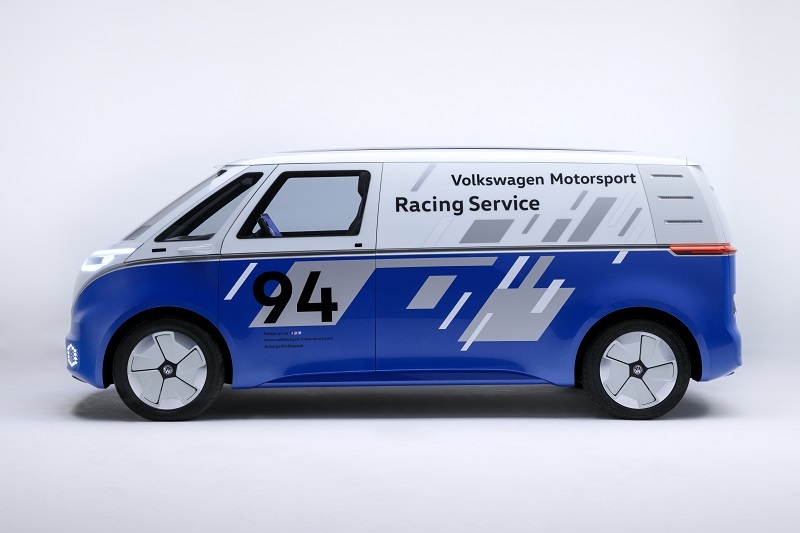 Buzz Cargo mission, the Volkswagen Commercial Vehicle team revealed their electric Cargo e-Bike for efficient last-mile delivery. The e-Bike is the smallest Volkswagen commercial vehicle ever. A 250-Watt motor – powered by a lithium-ion battery – assists the rider. 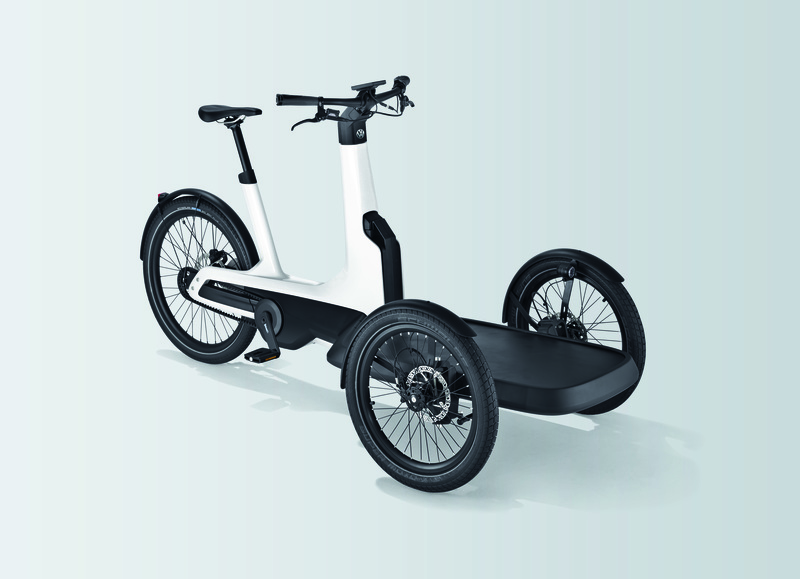 The e-Bike is equipped with two wheels at the front with a load platform positioned low between them. The platform is fitted with a 17.7 cubic-foot cargo box with a payload of 463 pounds to handle packages or other cargo. It features innovative tilt-compensating technology that keeps the load platform horizontal while making its way around corners or up and down hills. Volkswagen says market introduction of the three-wheel Cargo e-Bike is expected in 2019. As the Volkswagen brand looks to the future at the Los Angeles Auto Show, it is also honoring the past. Two special models designed to celebrate the Beetle—a true automotive icon—make their auto show debut as the third generation enters its final year of production. Available in coupe and convertible body styles, the Final Edition SE and Final Edition SEL models include exclusive equipment and unique upscale décor elements designed to send the Beetle off in style.